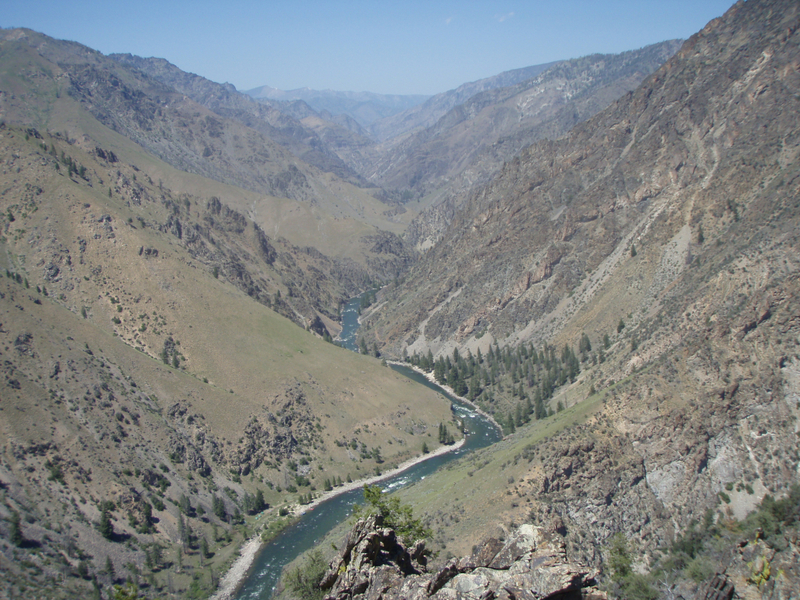 A crown jewel of boating and one of the top rivers to run in the US (and world), the Class IV Middle Fork flows through the largest wilderness area in the lower-48. 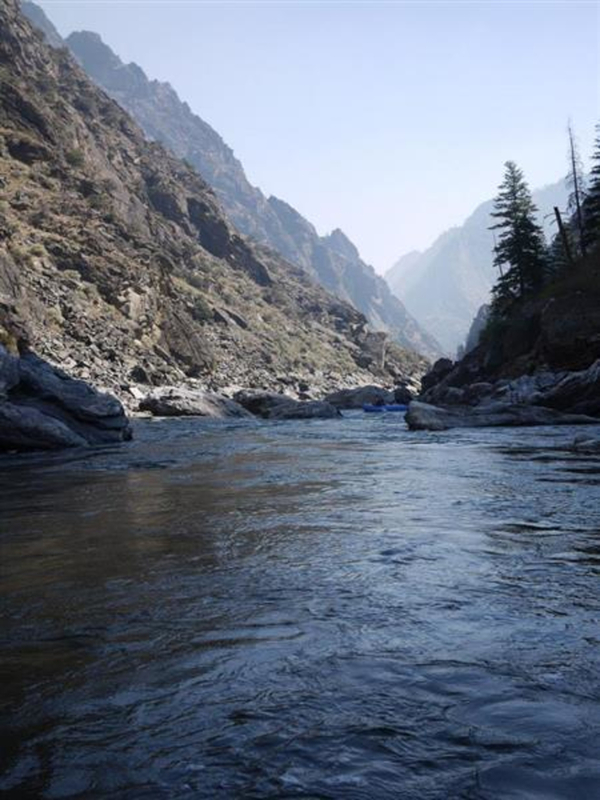 One of the premier float trips in the country – and the world - the Middle Fork of the Salmon is the jewel of Idaho rivers. 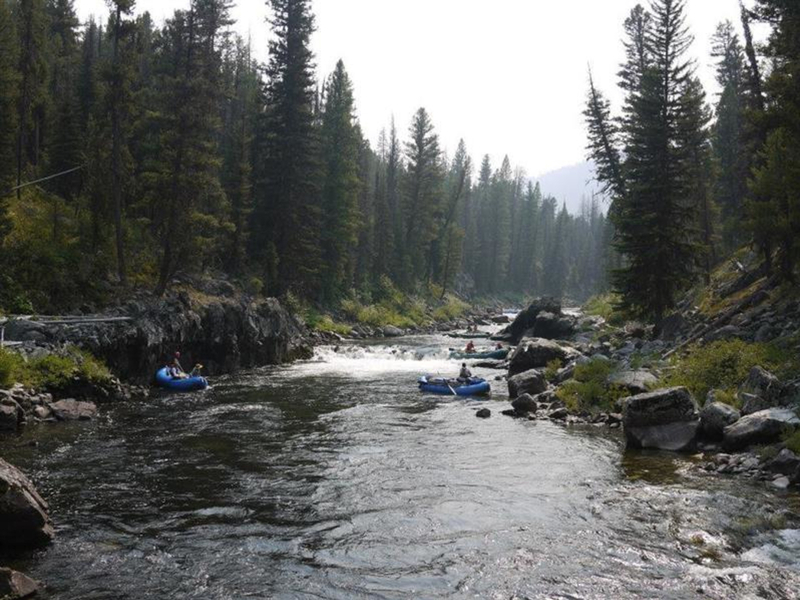 The free-flowing, class III and IV+ Middle Fork carves 104 white-water miles through the Frank Church Wilderness, the largest wilderness area in the Lower 48. 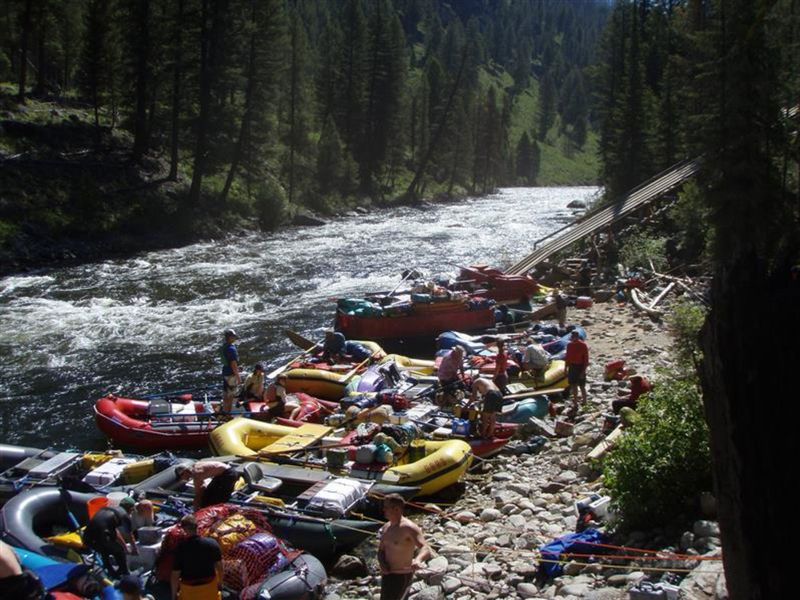 Boaters are challenged with over 100 named rapids that change with the season and water flow. In this canyon wilderness, there is something for everyone throughout the seasons. The river boasts excellent trout fishing. There are hot springs along the way for soaking. And, trail along the river for most of the way opens into wide wilderness for great hiking. The river runs through forests of Lodgepole, fir, and Ponderosa and beneath tall, towering walls of canyons. Its not surprise that a permit on the Middle Fork is one of the most sought. Designated as Wild and Scenic area, protecting and preserving this beautiful area means the number of people allowed on the river is limited. 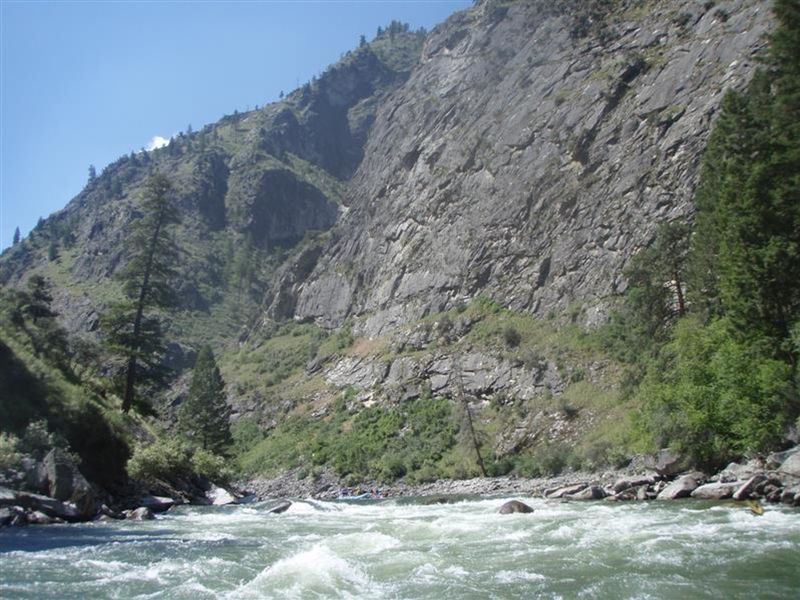 Permitting might be the biggest challenge on the Middle Fork. To run from late May – early September, permits are issued by lottery. Only a handful of permits are issued for each day for launch at the Boundary Creek put-in . 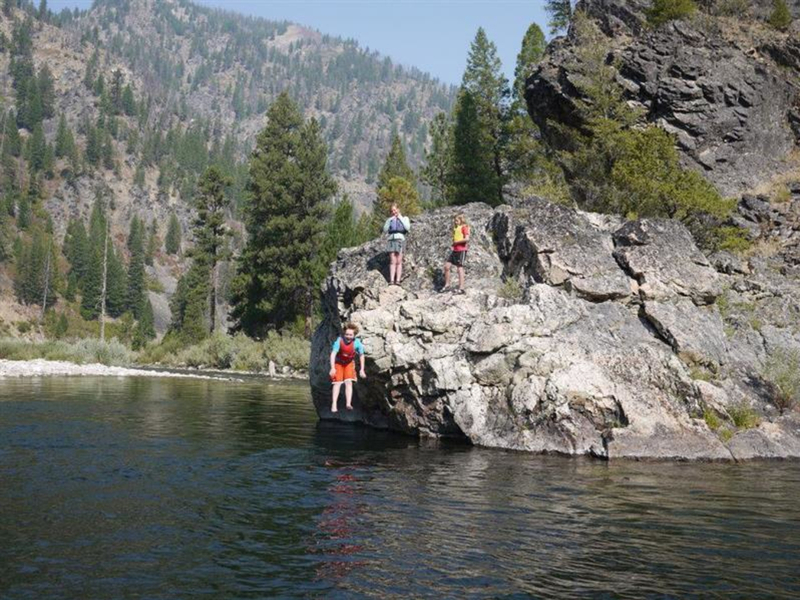 There is something for everyone who enjoys water sports - paddling, fishing, hot springs, and also hiking. Lottery application opens early in December. Before and after the lottery window, permits are issued by phone on a first-come, first-served basis. Depending on the time of year and current flow, number of people in your party and the permit that you get, the river can be run in 4-8 days.